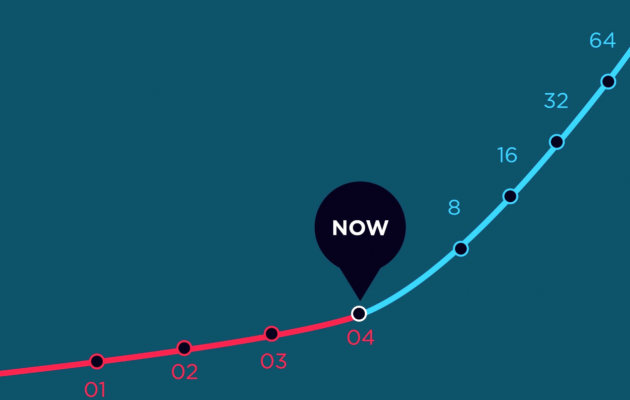 Do our evolved archetypes serve us in a time of exponential change? 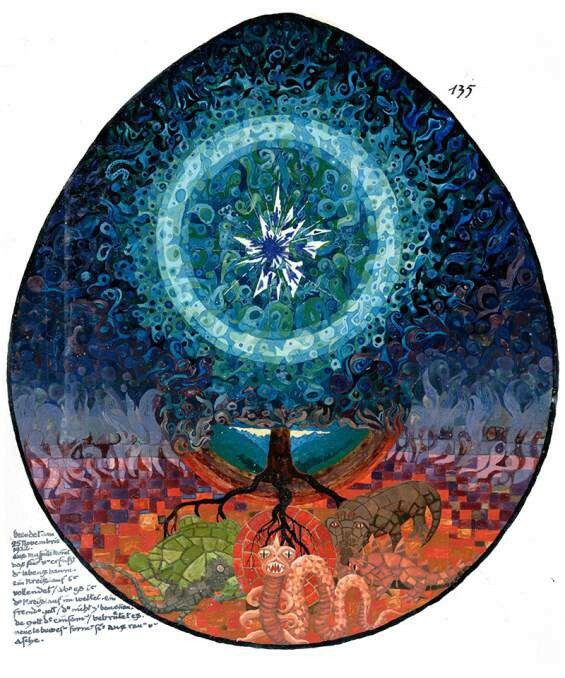 An Illustration from Carl Jung’s Red Book, depicting the pre-cosmogonic egg of archetypal reality. We presently stand witness to a resurgence in the archetypal interpretation of our collective experience. 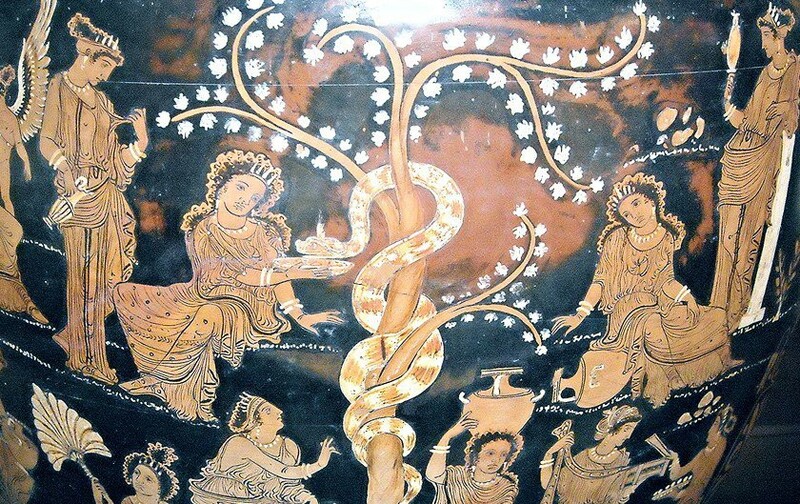 Our return to the narrative well of archetypal wisdom makes a great deal of sense. 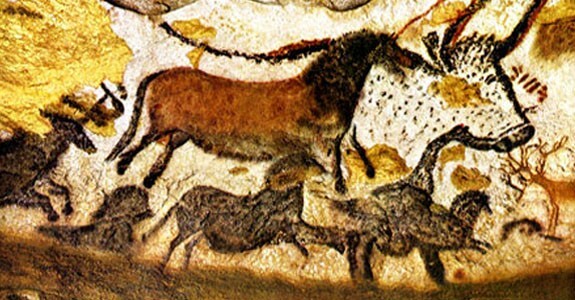 After all, those who understand archetypes also understand that these imagistic representations emerged from humanity’s need to carry with us— on our long journey across the evolutionary landscape — information pertaining to the past successes and failures of humans who tried to solve problems that simply wouldn’t go away. Across time, we encoded these specific successes and failures into more generalized narratives. We may see, then, that archetypal narratives represent a form of emergent compression technology. Before we learned how to write, humanity encoded its knowledge using a process of linguistic annealing, by which we refined our most indispensable know-how within the crucible of our limited individual and collective memories. Thus from our behavior emerged stories, and from our stories emerged new behaviors, in a feedback loop whose oscillatory cycles span the entirety of our linguistically-endowed ancestry. Within these stories were packed the knowledge and wisdom of an entire species, stored not as objective facts, but as procedural relationships to our phenomenological landscape. One might wonder why humans still resonate so deeply with archetypal narratives. The aforementioned procedural relationship explains why. For nearly the entirety of human history, it was narrative that served as our collective operating system. It was narrative that encoded both the regularities and particularities of our ancestors’ contact points with the diverging and converging paths they’d trodden throughout space and across time. It is impossible to map the precise manner in which such narratives diverged from one another, each evolving tendril giving rise to a slightly different perspective concerning the nature of reality. 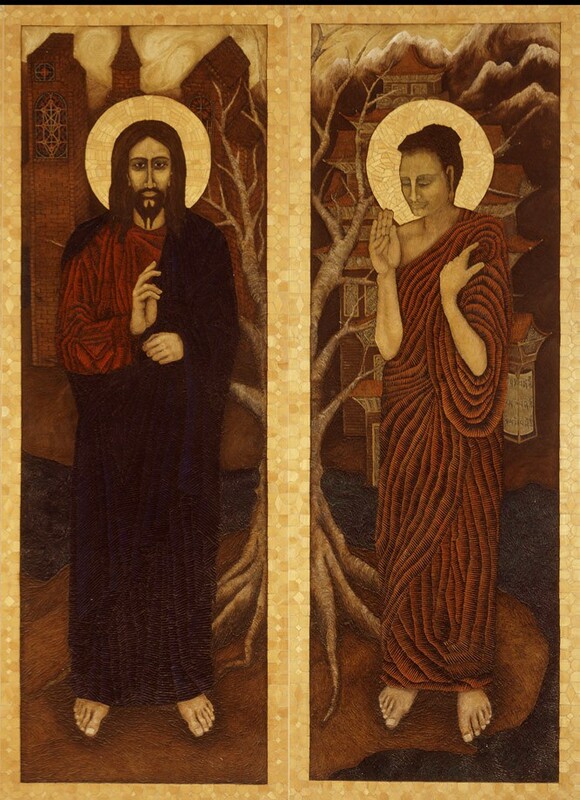 At first glance the Buddha and Jesus strike quite different chords within the student of religion; and of course, it’s impossible to re-capture all the historical path-dependencies that gave rise to these idiosyncratic personifications of an Enlightened Being. Yet both figures incarnate a representation of their ideals; and upon closer inspection these ideals have much in common. This is of course because, to the degree our human experiences mirror one another — despite varying environmental factors — our narratively encoded archetypes will display a domain of overlap, a space of shared resonance. Furthermore, in unconscious service to the cybernetic stewardship of our collective behavior, we’ve extended such narratives beyond the temporal barriers that separate individual lives and distinct cultures. These transcendent encodings trace the contours of our archetypes. And to their credit — despite the usurpation of speech’s crucible by vastly cheaper modes of storing and transporting the written word — these archetypal themes continue to resonate with hearts and minds across the globe. Thus, while we may rightly heap praise upon the technology of writing — as well as the technological improvements that accelerated the written word’s dominion over our phenomenological landscape — we must come to understand that the capacity to transmit and store information without limitation also relaxes the very constraints that first required humanity to compress its cumulative phenomenological wisdom. Here we may begin to understand the limits of applying archetypal concepts — specifically those birthed within a previous phenomenological context — to a world best characterized by its potential to radically break from our evolutionary past along a growing number of fronts. Why should we expect the bio-cultural encodings of our prior developmental inertia — compressed into archetypal representations across periods of linear adaptation — to resonate with the aspects of our human potential most capable of dealing with exponential change? Certainly, some canyons carved into humanity’s ancestral adaptive landscapes remain deep enough to persist across this period of exponential change. But which archetypes are those? And which represent vestigial encodings — maps that no longer represent the territory we’re about to enter? Are we confident that a majority of the archetypes with which we still resonate will in fact call forth the elements of our being capable of navigating this transition? Will they continue to serve us as we transition to a world that will likely include dynamics unknown to the entirety of prior biological evolution, let alone our recent human niche? The brain evolves slowly in comparison to our modern world, after all. It seems unlikely to me that — in comparison to those ancestors who contemplated questions concerning the degree to which past wisdom might apply to their own set of present and future circumstances — the future we confront today will remain quite so symmetric with the past. Though perhaps this suspicion, too, is an archetype. To further complicate this picture, the archetypal encodings that remain symmetric with our possible futures may require that we — beyond mere acknowledgement — consciously incorporate their comprehension within the dynamics of our social fabric. Thus, like a groundskeeper tasked with maintaining a garden containing sundry strange and unpredictable species of plants and animals, we must begin to map the territory. We must identify which archetypes continue to serve humanity as we undergo rapid technological and cultural transformations across all scales, and which archetypes may simply compound our risk of self-immolation. In other words: what do we water, and what do we prune? This is the question with which 21st century humanity must familiarize itself. If you’ve enjoyed this, please feel free to clap, and give me a follow over on Minds or Twitter. Bringing Order to Chaos, and Chaos to Order.